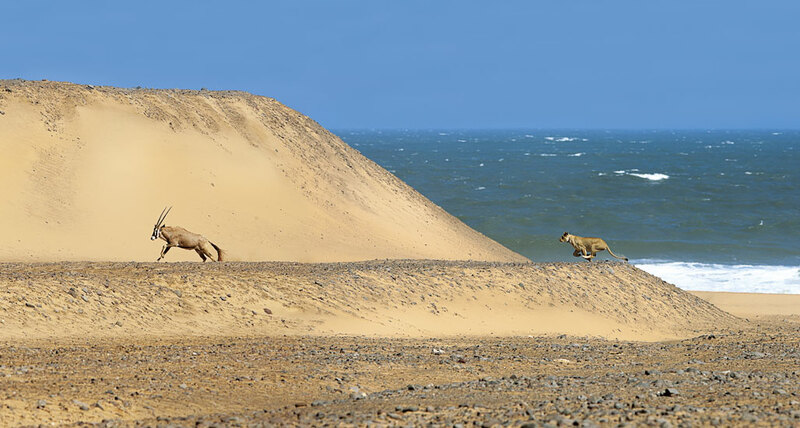 A lioness… caught by the camera in mid-stride as it prepares to attack an adult Gemsbok. 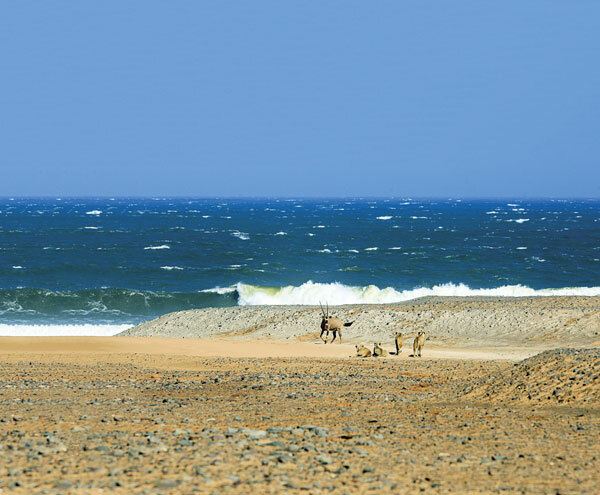 This is not an unusual tableau for Africa, but where you might expect to see it amidst a landscape of savannah, this particular image has a copper coloured sand dune and the ocean as a backdrop. While it documents a long-term study that is ongoing, Stander acknowledges that it was important to take the time away from the active research to produce the book, ‘Vanishing Kings– Lions of the Namib Desert’, and we believe a multitude of readers will agree. It portrays the lives of four consecutive generations of Namib lions which Stander was able to follow and come to know individually for the duration of their lifespans. Each lion is afforded the chance to play a character in this story, revealing individual personality traits captured in anecdotes and interactions as well as compelling photographs. The book will strike a chord with anyone with a love for these noble creatures, and also promises to reach them in a way they may not have been reached before – visually, intellectually, emotionally, and for the more academic reader – scientifically – because most research events in the book are original data that have not previously been published. This is an absolute jewel of a book and an advance edition is available for order now. To find out more, click here, and to pre-order click here, save R50, and have your book delivered by courier before end of April in RSA.